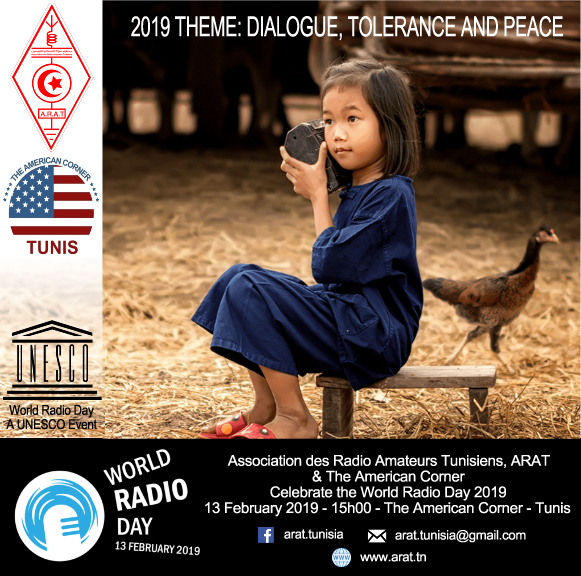 In the occasion of the World Radio Day on February 13th 2019, ARAT will be holding its annual meeting in the the American Corner at 15h00. -A presentation about amateur radio by David Cipolle (W1SZ). -A presentation about ARAT and the activities it does by Ashraf Chabaane (KF5EYY), president of ARAT. A debate will take place afterwards.